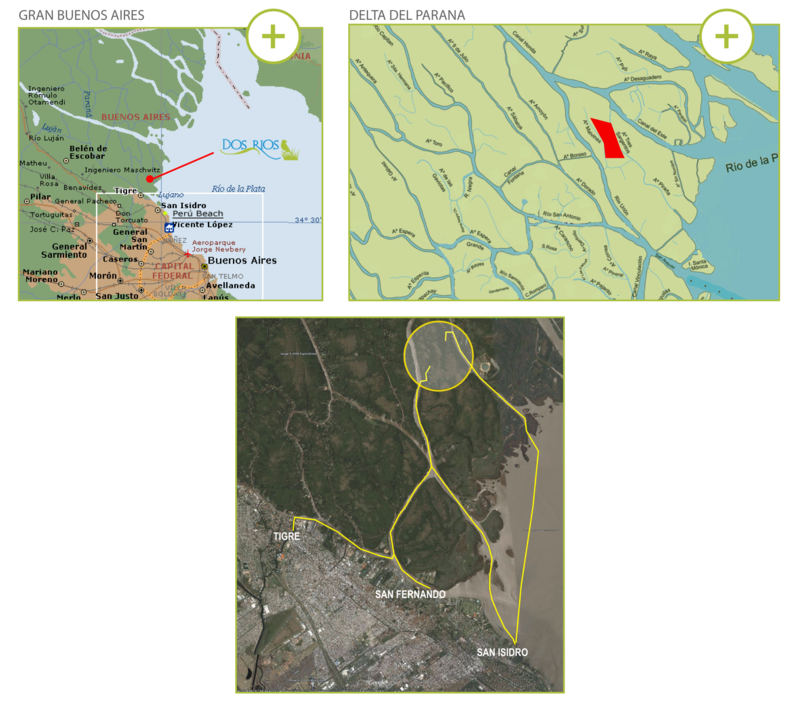 DOS RIOS is located within the first section of the Parana Delta. The Parana Delta is a favourite get-away spot for Porteños (people from Buenos Aires) and it’s not surprising. It’s so close and yet so tranquil after the fast tempo of the city. It also boasts a fascinating history and ecology. The area is ideal for boating, rowing, fishing, or just hanging out on your deck. It’s in an amazingly beautiful location. What makes it even better is that it’s just a 45-minute train ride from Retiro train station (in the centre of Buenos Aires) to Tigre (the start of the Parana Delta). From Tigre, Dos Rios is just a 30-minute boat ride away. It’s quick and easy to get to, meaning no long journey that tires you out before your break has begun. Tigre itself has also become very popular and is expanding rapidly as people begin to move out of the city to somewhere less frantic. But it still retains its character and charm. It used to be an important port for bringing wood and fruit to Buenos Aires, and for the making of wicker goods, which can still be found everywhere in its many stores. To see the Google location, click on the maps below.